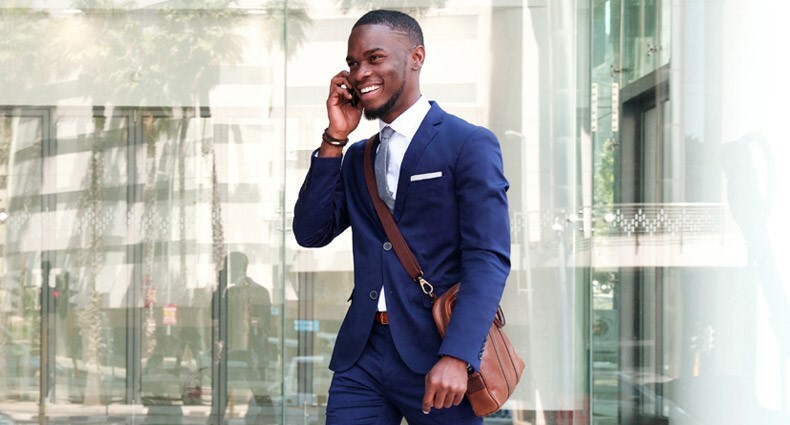 If you are a male job seeker, the thought of what you should wear to an interview has likely crossed your mind while going through your pre-interview preparations. You will also likely have an acute awareness that a quick Google or Pinterest search for “interview outfits” yields more results for female applicants than for yourself. While women have a plethora of ideas, inspiration and advice on this subject at their fingertips, men often have to conduct more in-depth research. If planning what to wear to an interview isn’t your area of expertise and search engines are failing you, follow these guidelines to determine what clothing choices you should make. Before you go out and purchase a new suit (or dust off your old one), stop to consider what the standard dress code is for the industry and position that you are applying for. While you should elevate your ensemble to reflect professionalism and fit the occasion, you should also avoid over dressing to ensure that the interviewer can easily picture you as a member of the team. As you already know, researching a company’s culture as a part of your pre-interview routine is a standard practice for all candidates. Through thorough research, you can glean useful information that will enable you to wow potential employers with your knowledge, responses, questions and even attire. While researching, you may find out that a company’s culture is so laid back that flipflops are considered appropriate office footwear; in which case, you may want to think about ditching your suit in favor of a more casual (yet still professional) outfit. Again, your mission is to know the company well enough that you are able to both emulate and elevate what your peers in that setting are wearing. Ok, maybe the word “stalk” is a little intense; however, you should be taking the time to look your interviewers up on Facebook and LinkedIn before you step into the interview. Evaluate the impression that they are portraying on their pages, in addition to what they are wearing—especially on LinkedIn. If they are wearing a suit in their LinkedIn profile picture, wearing a suit to your interview is a safe bet. However, if they take a more casual approach to their professional profile you may want to pare your outfit down a notch. Determine the impression that you want to make. After completing your due diligence and researching the industry, company, potential coworkers and interviewers, take a moment to determine what impression you want to make. After all, they do want to get to know you to determine if you will be the right fit for the company. Your clothing choices can make a lasting impact in an interview, make sure that you are comfortable with what your clothing choices say about you and the environment you are hoping to work in. Do not break the bank on an outfit that you will never wear again—especially if you are currently unemployed. Your clothing choice should reflect the industry, position, and company that you are hoping to join and will therefore be worn again in the future.